In the past few weeks, I’ve had the privilege of meeting some self-proclaimed gamers. We’re not talking about people who kill some time and relieve some stress by popping on the XBOX. We’re talking about Gamers. With a capital G. The kinds of people who stay up all night, forget about worldly things like commitments and hygiene, and blinking be damned, game for hours on end. Let us not be confused with those folks, but the OTP leadership does enjoy some virtual entertainment from time to time. Most notably of the college football variety. So it’s a no-brainer that we would look to our digital overlords to predict what to expect from the 2012 Cardinals. 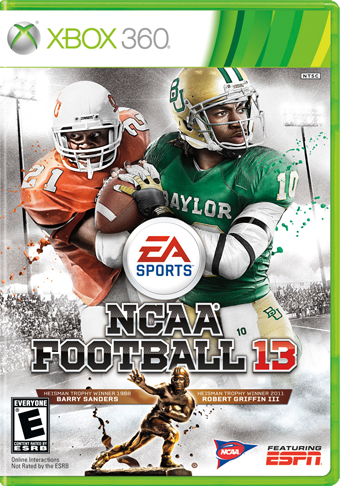 Any college football fan who also considers themselves of the gaming persuasion always looks forward to summer when EA Sports helps us fill the void of football-less days with digital football instead with their NCAA Football franchise. I’m not saying I take a vacation day from work when the game comes out, I’m not saying I don’t. I’m just saying for some people, it’s a big deal. So with game in hand, plasma on HD mode, and hungry for some nuggets of optimism I decided to see how NCAA 2013 sees this season playing out for our beloved Cardinal and White. In order to have some good methodology, three seasons were simulated. Now, what does all this tell us, other than that I have far too much free time on my hands? Not much of course. But the thing that gives me a little bit of hope is the third and final simulation had the most realistic non-BSU outcomes and they had the Cards going bowling. I’ll take it! Looks like the Cardinals are going for the digital Rise Up.